Cpl. Max A. Blackwood, son of Mr. and Mrs. C. O. Blackwood, attended Frederick High School. 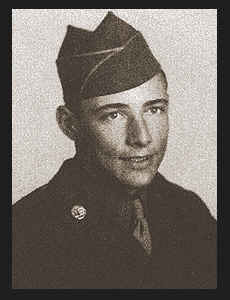 Entered Army in 1944, trained in Camp Chaffee, Camp Robinson, Ark., and Ft. Ord, Cal. ; served in the Philippines; Awarded Asiatic Pacific Ribbon with two Battle Stars, Good Conduct Medal.